Laura from Following the Paper Trail got me (and her many other viewers) hooked on Martha Stewart punches. For me, I'm hooked specifically on edge punches, which you use to make decorate borders and strips for cards and scrapbook pages. I can cute some of these images using my Cricut, but often the more intricate images won't cut cleanly unless I constantly have a new blade. Plus, with most of my cartridges, I'd have to use my Gypsy to get a border look that will fit my cards. Yeah, I'm making excuses to justify my addiction. 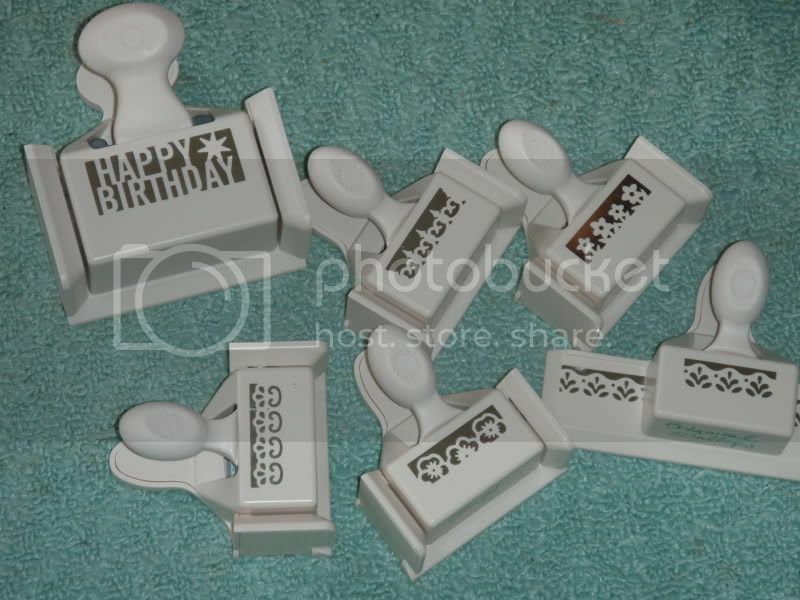 Here's a shot of the ones I got for my birthday. This is my latest trick. 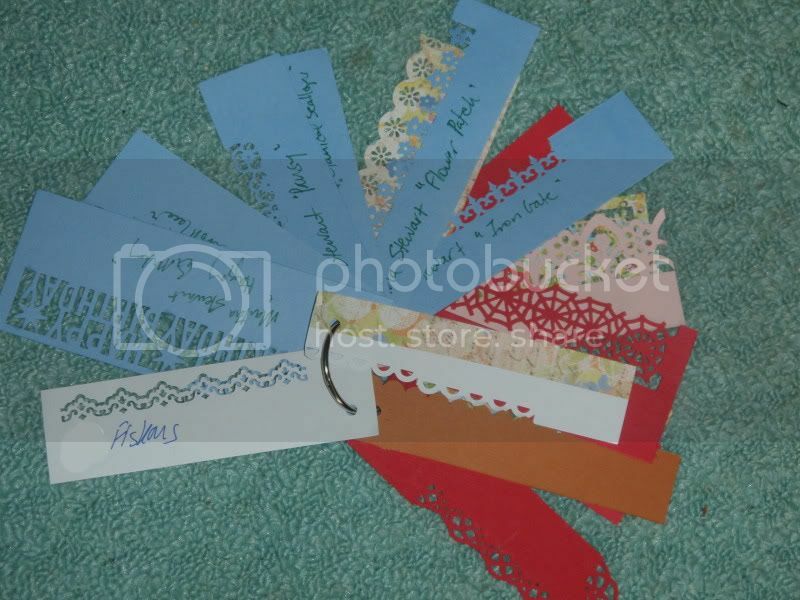 It's similar to a paint chip collection and it's a good way to use up scraps. Each strip is about 5.5", just the width of an A2 card. Momo sent me..Loving your blog. I'm your newest follower..Would love it if you decided to follow my blog.